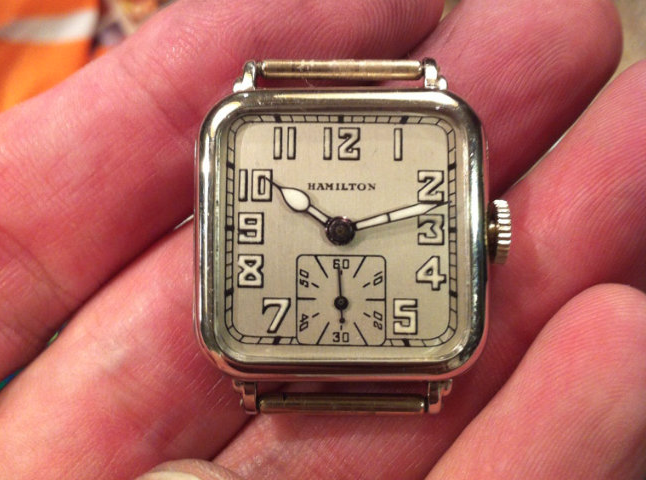 The 1937 Hamilton Elliott may be the smallest man's watch that Hamilton made... if not the smallest, it's in the top 3 for sure. 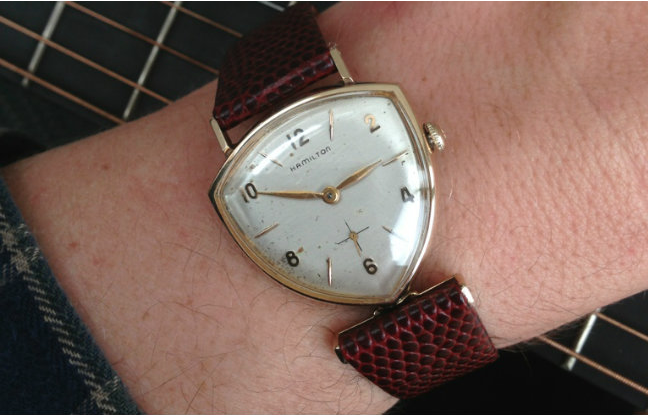 By today's standards the Elliott is better suited to a lady who appreciates fine vintage watches. 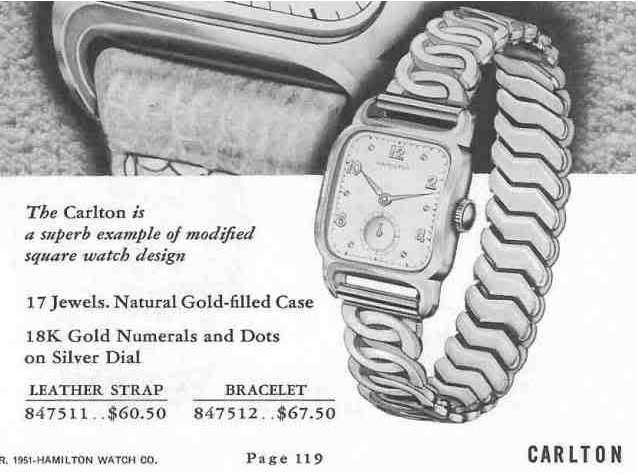 Made for only three years, the 1937 Elliott was the first version to bear that name but not the only one. 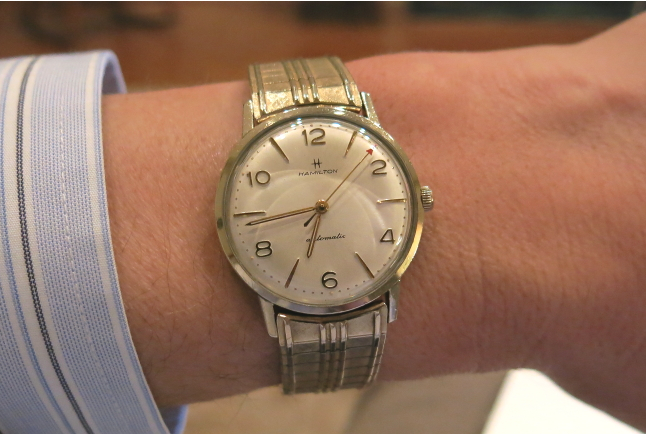 There's also another Elliott model from 1962. 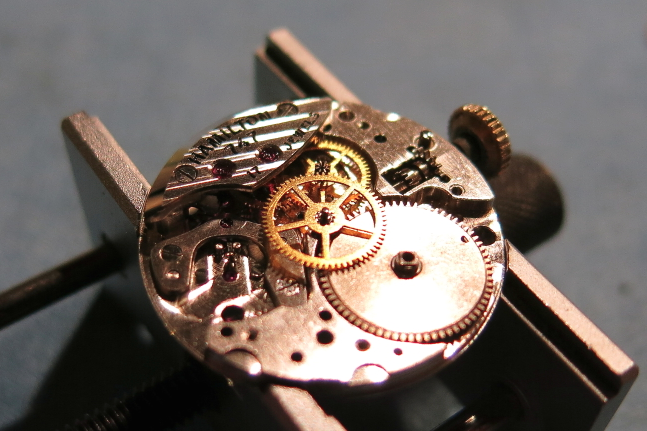 Behind the dial is a 17 jewel 980 movement and it pretty much fills up the case and extends beyond the dial into the lug area. 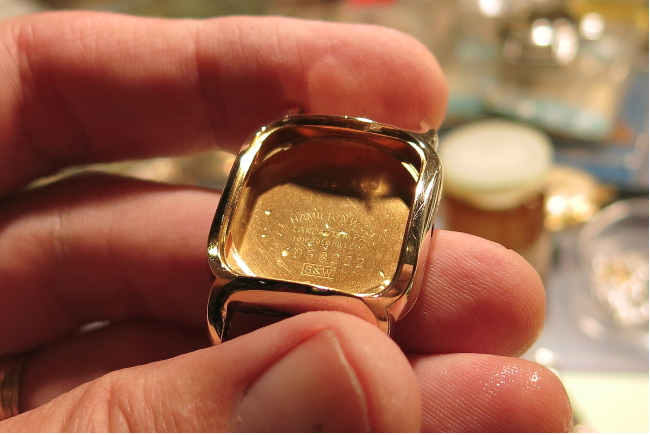 The 14K yellow gold filled case is prone to wear through on the corners of the bezel near the lugs. 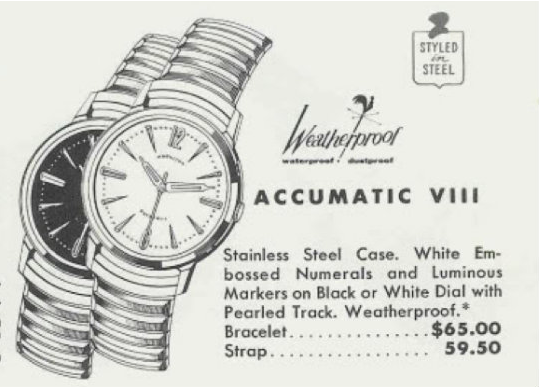 Two dial varieties were available, an inlaid black enamel dialed version (shown on the ad) and an applied gold numeral dial - which is more commonly found. 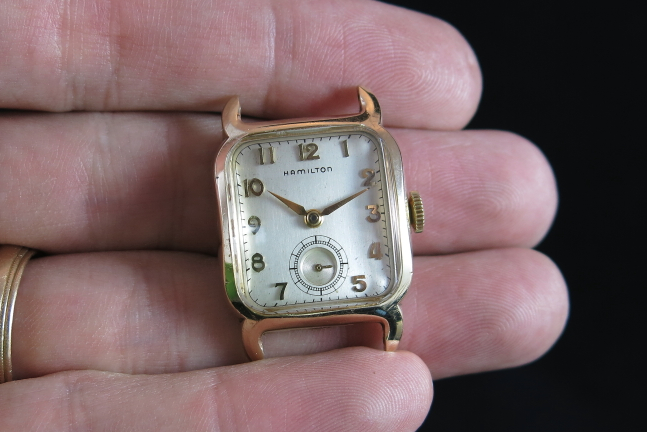 I purchased an Elliott project watch a while back and although it turned out well, it's so small that it doesn't really get any wrist time. 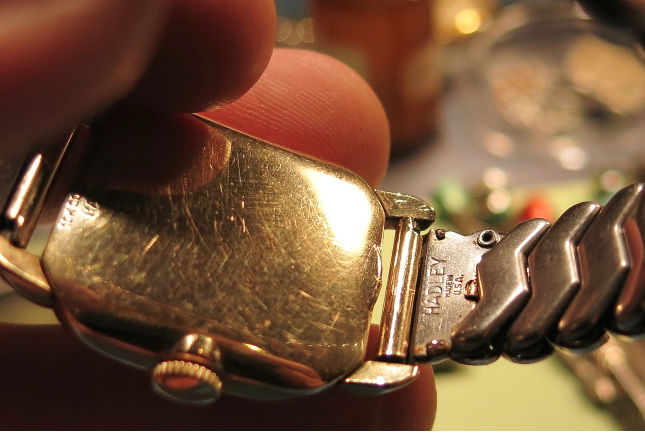 It takes a 16mm strap and as you can see in the photo below, the watch is only about 20mm wide overall. 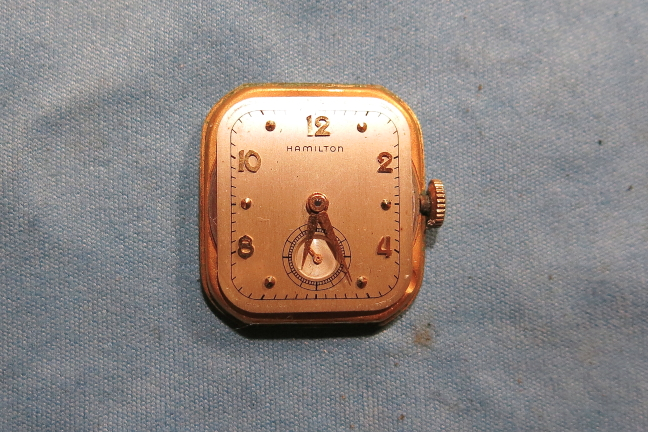 There are similarly narrow models in the Hamilton line-up from the 1930s, but most of them were much longer, curvex-style watches and they wear a little larger on the wrist. 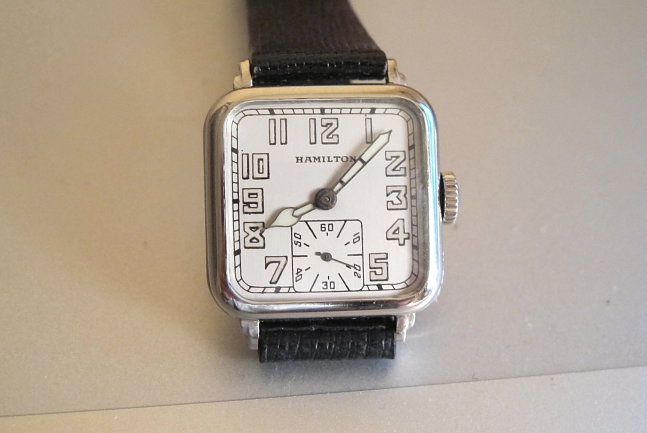 I like the 1951 Hamilton Jeffrey because it shares the same name as one of my best friends... the sort of friend you can go years without seeing but immediately take up where you left off the moment you see them again. 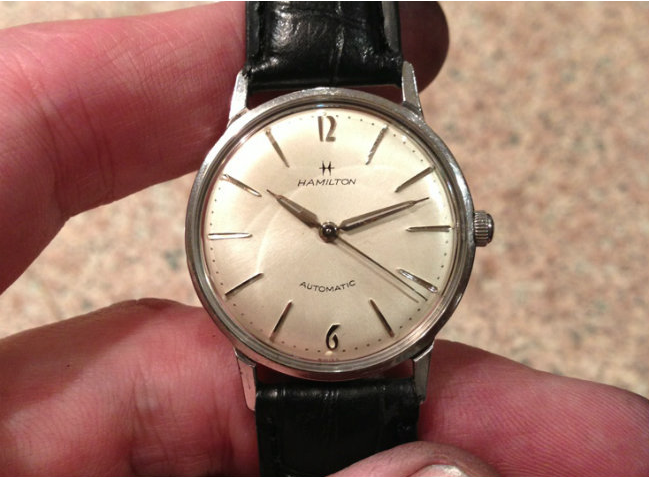 The Hamilton Jeffrey was produced until 1953. 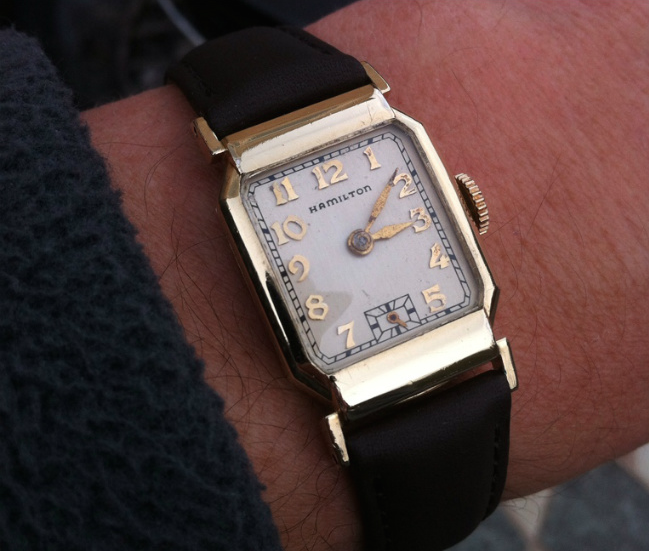 The model comes in a 10K gold filled case and features solid 18K gold numerals on a two-tone sterling silver dial. 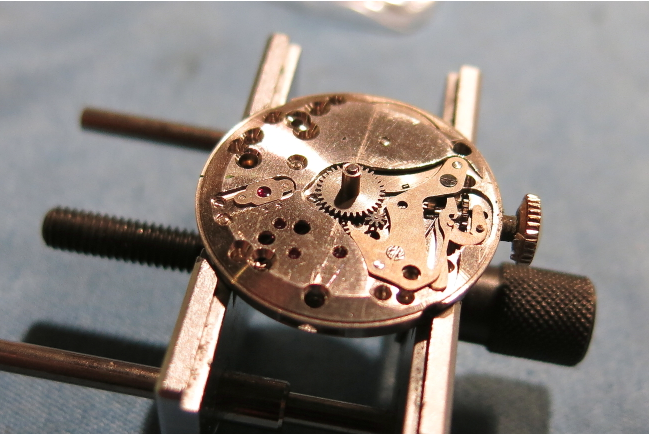 The Jeffrey also bridges two periods of 17 jewel movements. 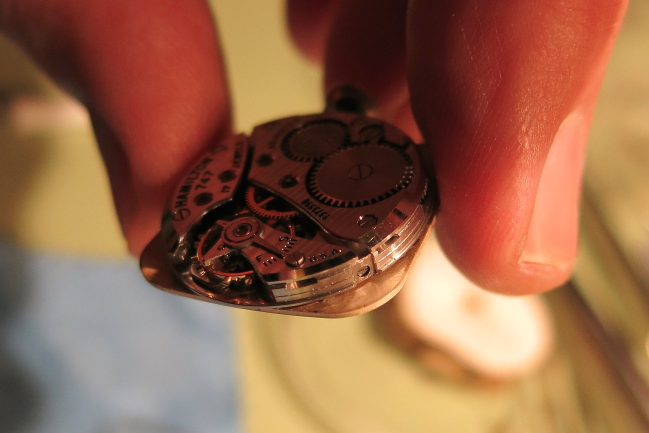 It started out with the 14/0 sized 980 movement and when that was discontinued it received the 12/0 sized 752 movement. 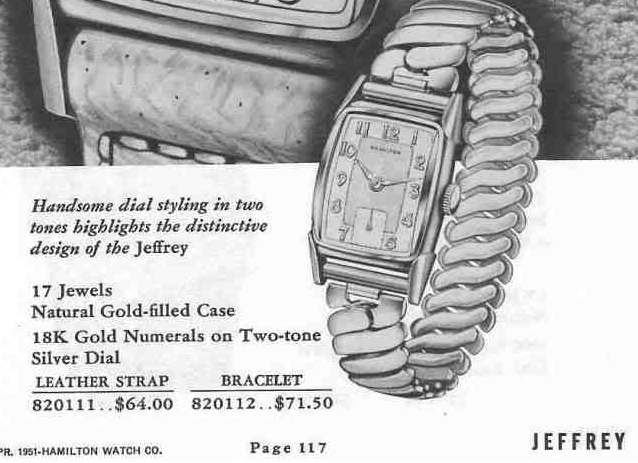 Like similarly shaped models, the Jeffrey will often show wear to the ridges of the lugs, as well as on the case back. 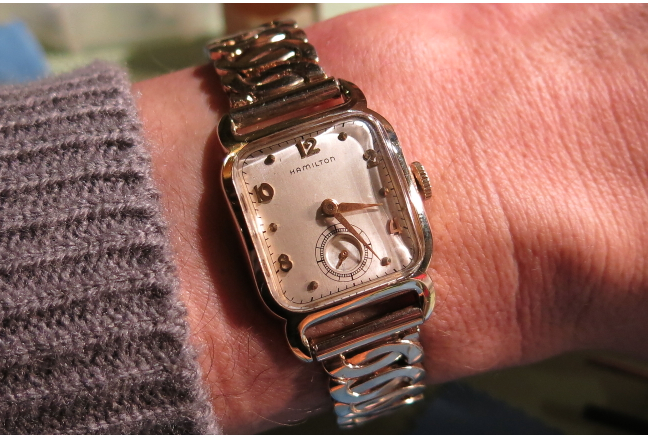 It's a nice looking model in my opinion, especially with the two tone dial. 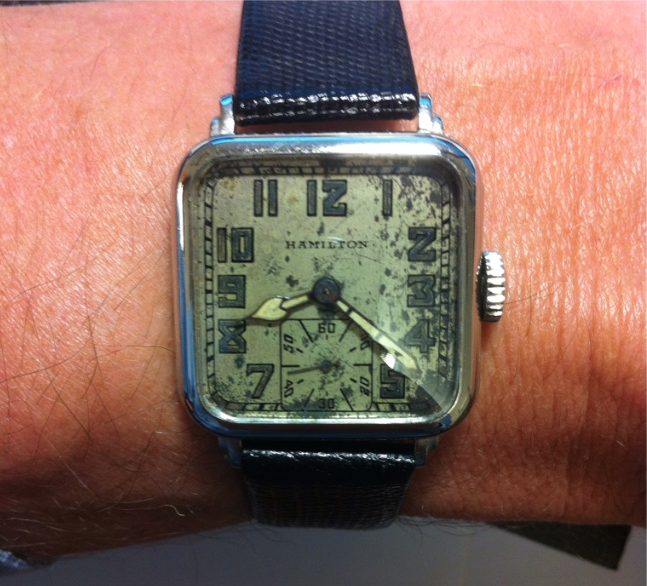 One of the really interesting aspects of Hamilton watches from the 1950's is the variety of innovative and unique designs that were introduced. One good example is the 1956 Cross Country II. It was only produced for two years. 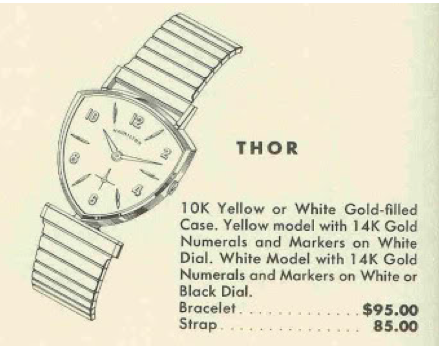 There are a lot of oddities to this watch. 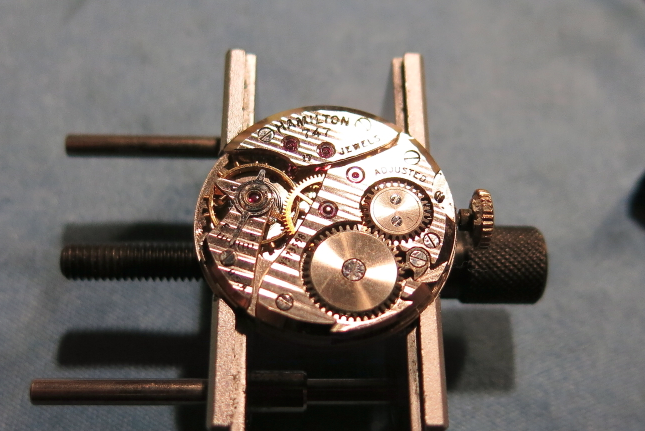 First off is the dial itself. 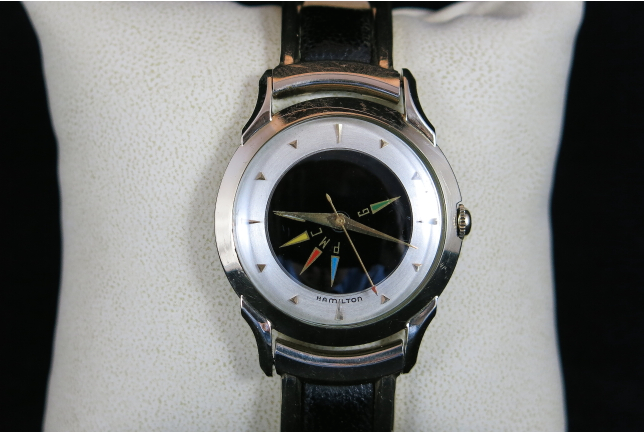 The hour hand is actually the black disc in the center of the dial. 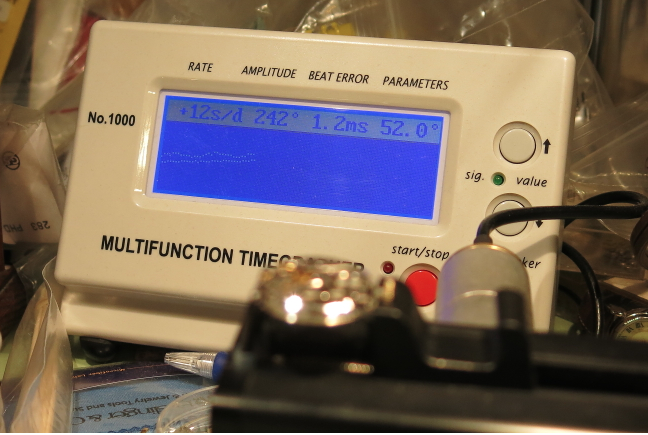 It has indicators for 5 time zones. You set the hour hand to the time zone you're in and the other indicators will tell you the time relative to where you set the hour hand. 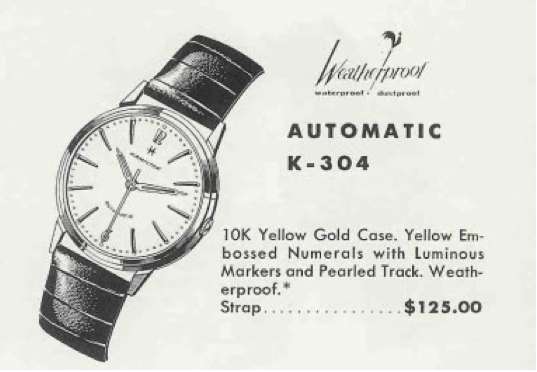 For example, in the catalog add above, the hour hand is set to "central time". 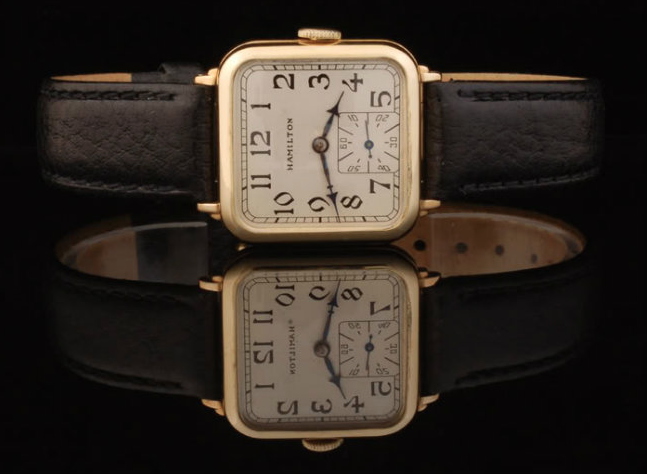 It's very similar to two other models made during the same period, the Transcontinental A (10K gold filled case) and the Transcontinental B (14K gold case). Both of those models use a rotating disc to represent the hour hand but they use a graphic of the United States and Great Britain to indicate the time zones. 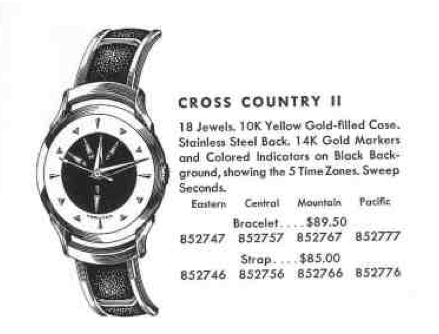 I can only find the Cross Country II in the Hamilton catalogs but I think there's an identical looking Cross Country watch that used a 17 jewel Illinois movement. 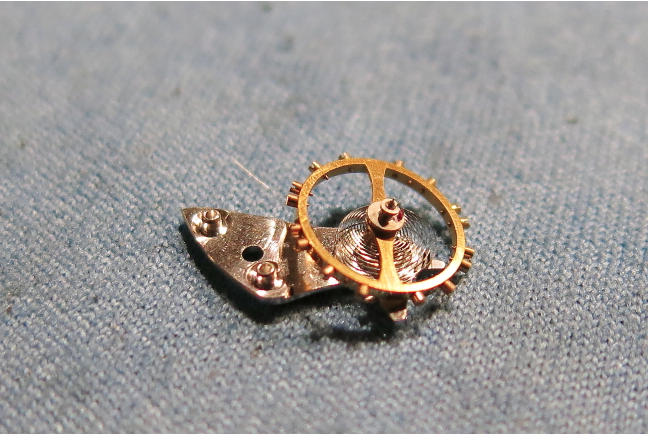 However, in the Cross Country II you will find an 8/0 sized 735 movement. At least that's what I found in the example below. 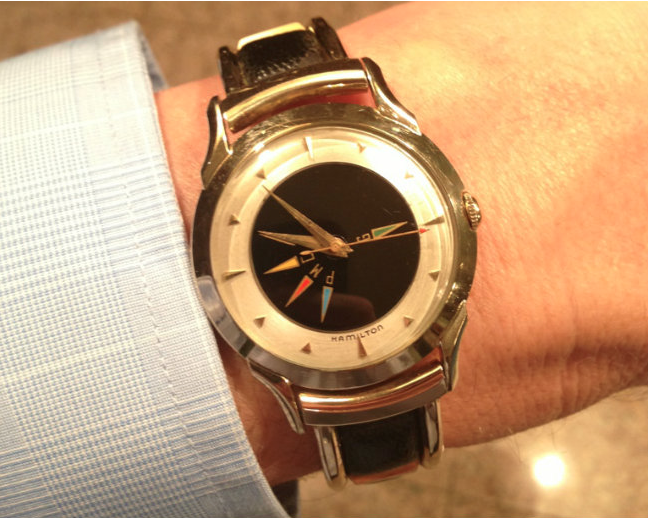 This Cross Country II also has it's original bracelet - a rare find! 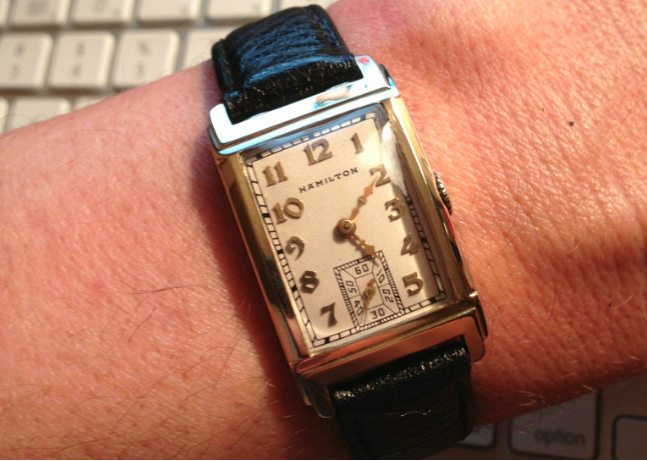 In 1928 Hamilton introduced a series of new watches that dramatically expanded the list of available men's strap watches. 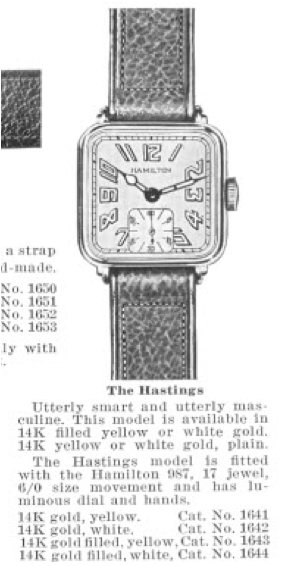 Included in the new model line up was the Hastings. 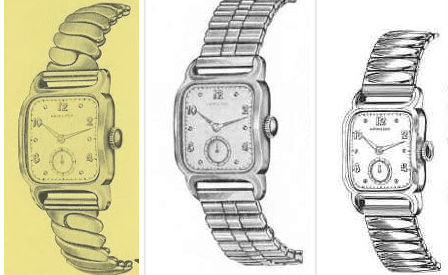 It would continue to be produced through 1933. 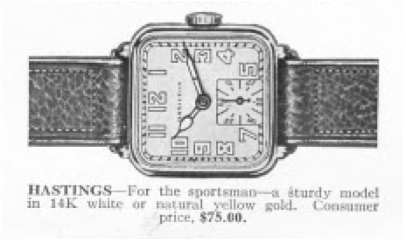 The Hastings was available in both solid gold as well as filled gold, in both yellow or white. 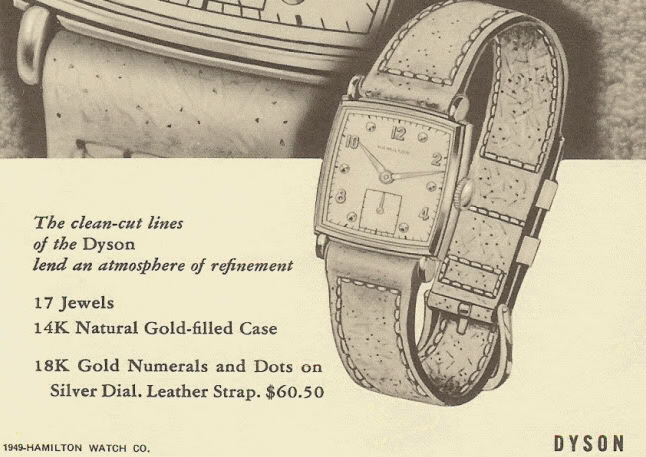 Interestingly, the "exploding numeral" dial pattern shown in the 1928 and 1929 catalogs is either extremely rare, or was never actually produced. 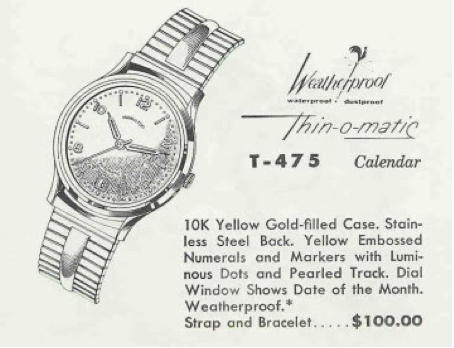 The later catalogs showed the traditional luminous dial pattern for the model, although a black enamel dial pattern exists (but wasn't referenced in the catalogs) as well as a couple of applied gold numeral dial patterns that were purchased from Flukiger, Switzerland and are exceptionally uncommon. 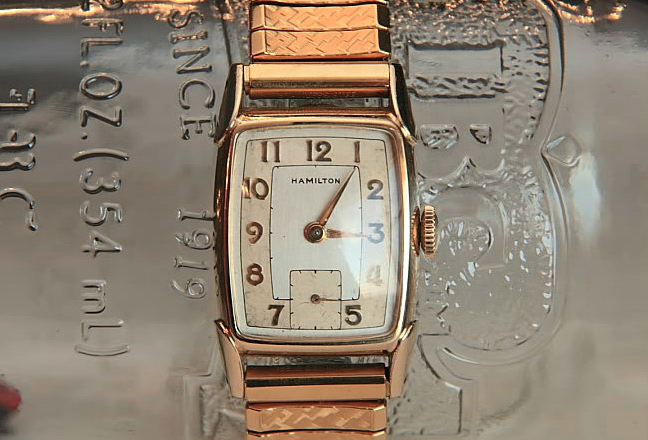 There were a lot of oddities to the Hamilton watches back in this period. 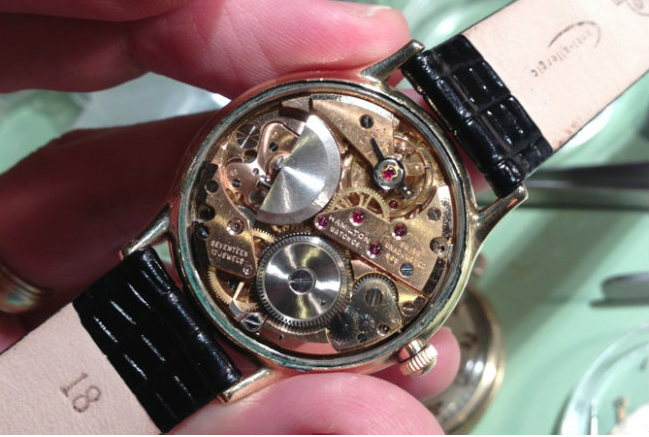 Behind the dial you will find a 6/0 sized,17 jewel, 987 movement in the earlier models or a 987F in the later models. 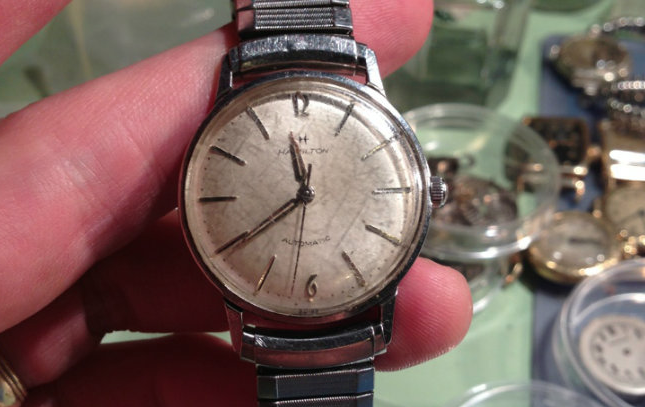 Either movement is just as likely to be found but a 987E or 987A would surely be a later replacement. 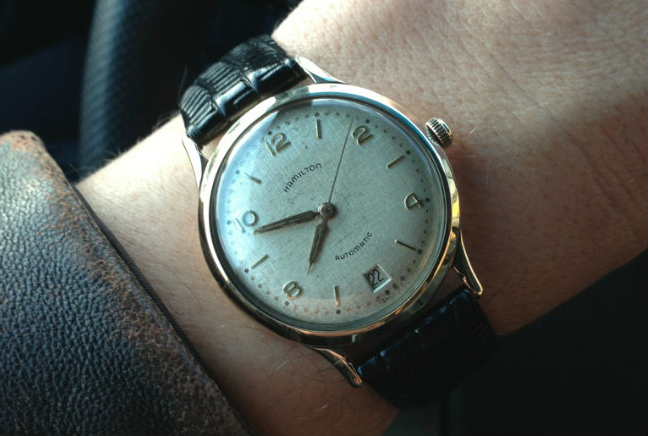 The Hastings is very similar to another period model called the Greenwich (see my earlier post). 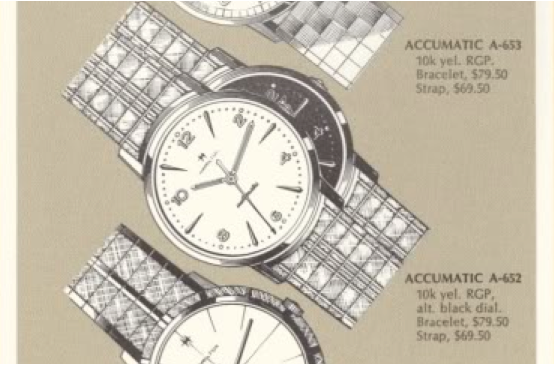 The main difference between the two models is the bezel shape. The Greenwich's bezel is thicker and has steps to it while the Hastings is thinner and has a single rounded contour. 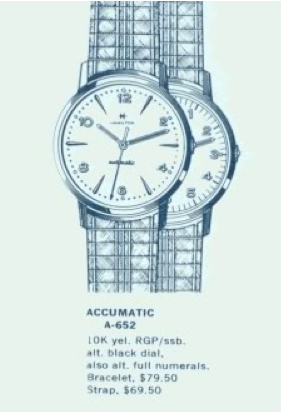 The watches are basically the same size but the Greenwich appears a little smaller since the thicker bezel requires a slightly smaller crystal. 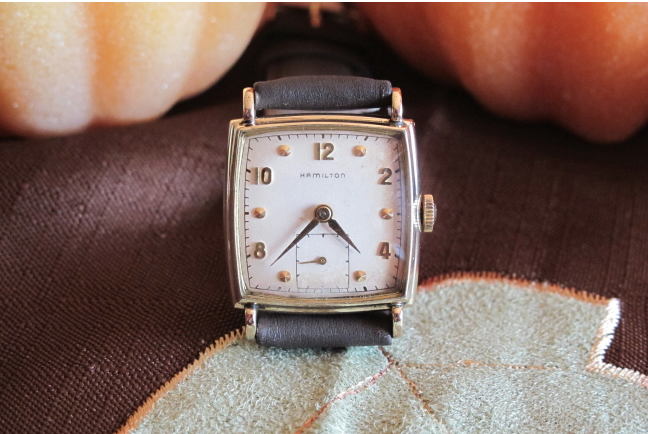 The vast majority of the time you will find the watch with an older luminous dial and hands. 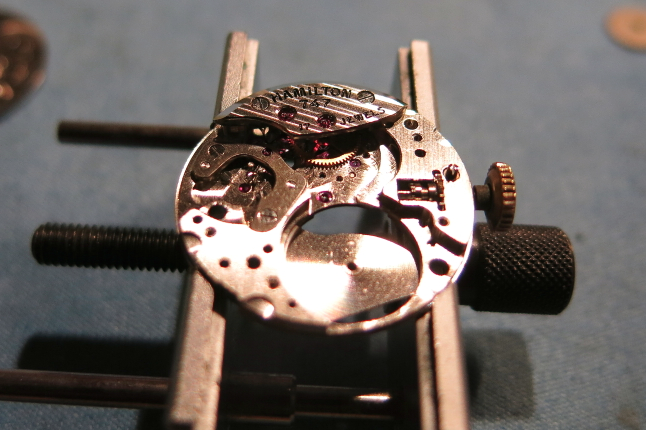 Sometimes they can look pretty rough and it's really a judgement call when and if to refinish an old dial. My personal opinion is "it depends". If the dial and hands match nicely and there's no glaring distractions, like dark spots or damage, then I lean toward originality. 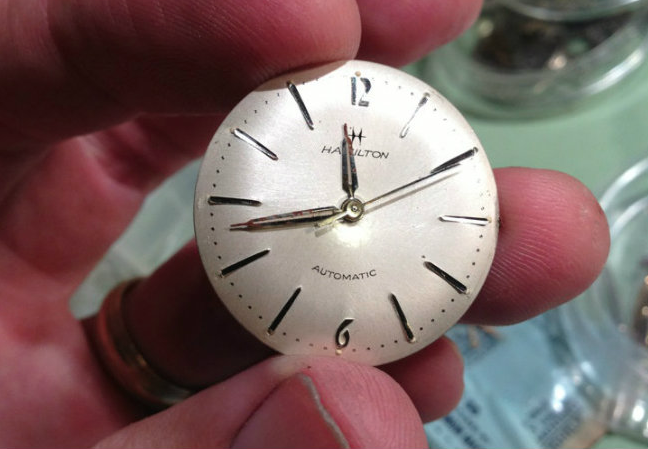 If the hands don't match or the dial is on the ugly side, then I prefer to refinish. 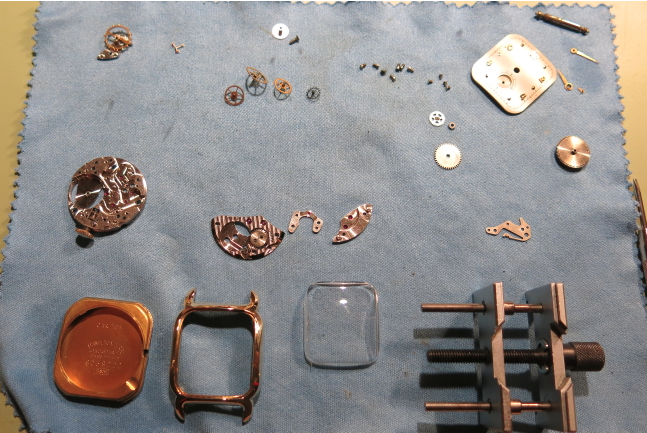 Here's a before and after of a Hastings that I restored for my personal collection. 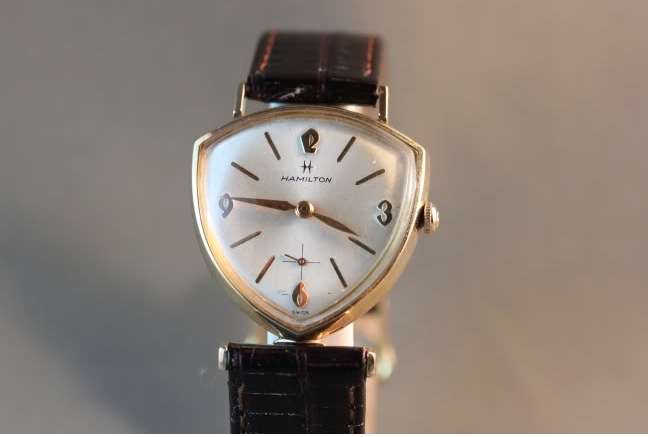 Note in this before shot that the luminous material on the dial and hands doesn't match and the dial is very spotted, especially on the right side. 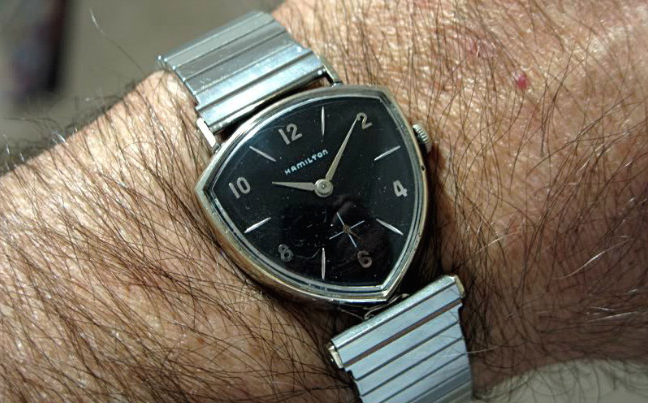 Afterwards, this watch looks crisp and is a striking improvement. 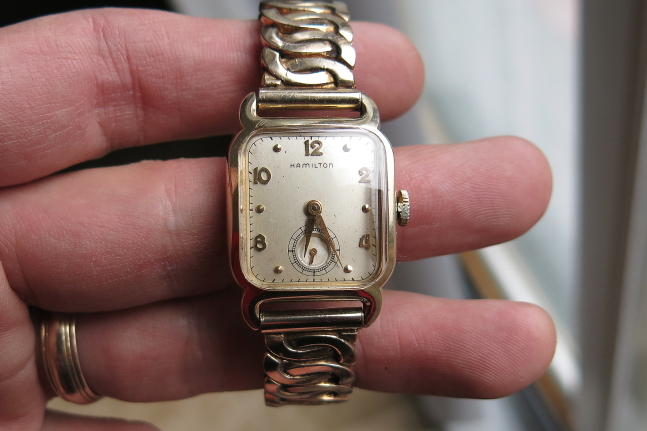 Here's another "after shot" of a different Hastings that I restored for someone else. I've done several of these Hastings over the last couple of years and every one of them has been in white cases. In fact, I've never personally seen a yellow version. 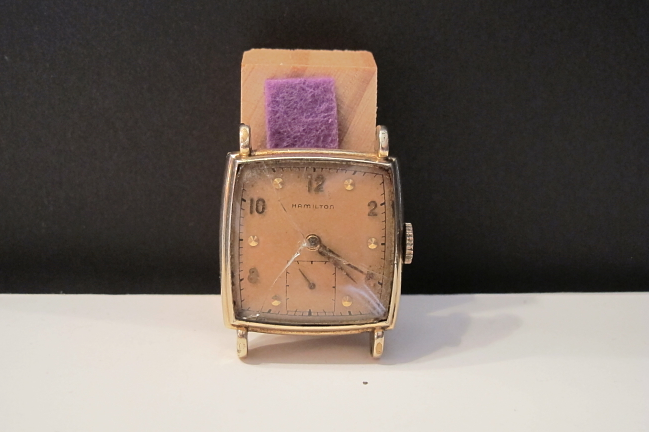 But, just to prove that the yellow ones do exist, here's a photo of a yellow Hastings with the black enamel dial - a really nice example in my opinion - courtesy of my friend, Tom Diss.